Way back when you bought a grill and replaced it every few years. Then Weber built a solid grill. If you were looking for a grill with a ton of power and a better simmer, Lynx designed the first pro grill. 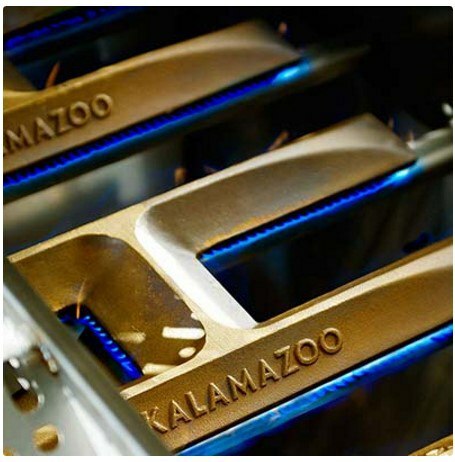 Hestan and Kalamazoo compete in the super premium professional bbq segment. We will compare the two very different companies and their grills. Hestan is a subsidiary of Meyer Corporation, the largest cookware supplier in the U.S.A. Before stepping into the backyard, Hestan’s engineers spent years alongside chefs in commercial kitchens. They re-invented the restaurant kitchen based on how chefs really cook. The grills are manufactured entirely in the company’s 70,000+ square-foot, state-of-the-art headquarters in Anaheim, California. 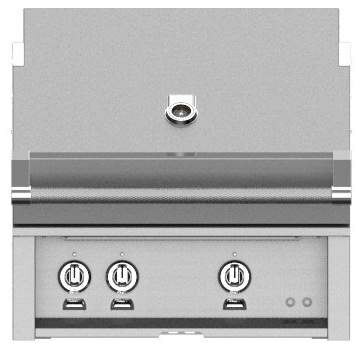 The Hestan professional grills come in 3 sizes. Kalamazoo craftsmanship started in 1906. They began their journey as Kalamazoo sheet metal more than a century ago. The family-owned company relied on its reputation for craftsmanship. The birth of the Hybrid Fire Grill started more than 15 years ago. The founder's great grandson set out to design the world's best grill. It did not follow the conventional industry template. 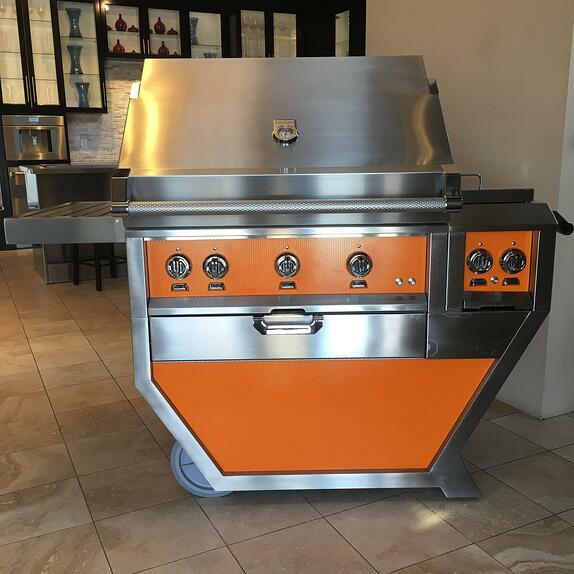 A heavy gauge welded frame offered lasting durability and combines the convenience of a gas grill with the superior cooking capabilities of a charcoal grill. The Kalamazoo pro grills also come in three sizes: 28", 38" and 51". Custom, laser-cut grill grates create amazing grill marks in a selection of patterns optimized for different types of food. 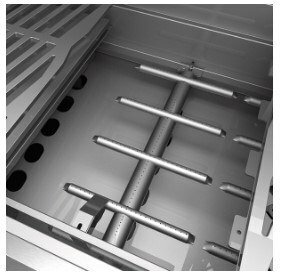 Hestan vs. Kalamazoo Pro Grills: Which do you buy? Price aside, both are considered the best grills on the market. 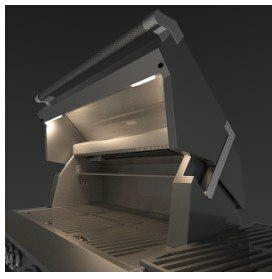 Both have 25,000 BTU burners, sear elements, and solid construction. You can monogram your meats on both and rotisserie a small ox effectively if necessary. 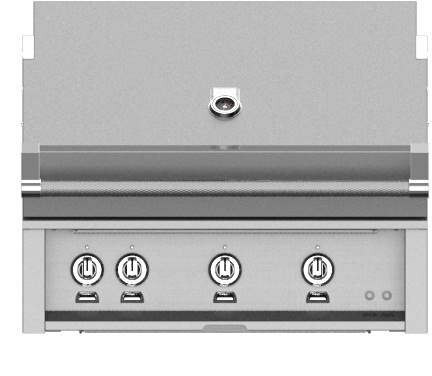 Hestan is much less expensive but is the best of the professional gas only grills. Kalamazoo is more than solely gas. 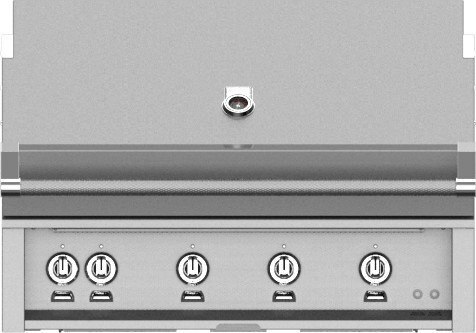 The hybrid drawer is the single best feature in grilling. You can cook with the flavors of wood and/or charcoal in one unit. Pro grillers all use a combination of wood and charcoal because the taste and texture of the food is that much better. For that reason, Kalamazoo is the best grill you can buy. At $10,000 more it should be the best. Want to learn more about BBQ grills? 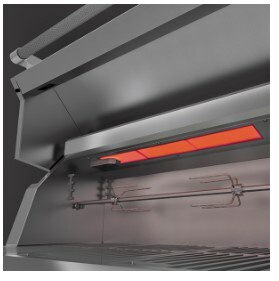 Read the Yale BBQ Buying Guide with differences between ceramic, gas and hybrid grills along with detailed profiles of Lynx, Alfresco, DCS, Kalamazoo, Weber, Broil King, and more. Well over 210,000 people have read a Yale Guide. Chris Tavares is an Appliance Sales Associate at Yale Appliance + Lighting and has been with Yale for over 10 years. When not helping clients, Chris is a huge Patriots fan and enjoys cooking.